I struggled with the decision, it is a BIG CHANGE!! I will miss my pretty cube, the fun events, amazing food/drinks and the people I have grown to know and love the past 7+ years.. But in my heart I know that this is what I need to do, for me and for my Family. No more lunch runs, but the good news is that our favorite trail for family runs is between my new office and home...so post work family runs will be EASY!! Have you made a big life CHANGE? Tell me about it..
Congrats on your new job!! 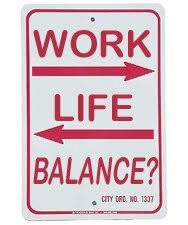 Sounds so much better for your work/life balance...as moms, this is what we always struggle with. My most recent life change was to take up running 8 mths ago...it has become so much a part of my life, as well as hubby's and my daughter's, and have dropped 17 lbs in the meantime. Congrats on the big move! I too, just recently made a career change after retiring from the Air Force this past summer. It was hard, but as I move forward in life I know I did the right thing! good luck on the new role! My husband just switched positions and we gave up 15% pay. BUT, we NEVER saw him and it just wasn't worth the money. We can make that 15% up in other ways. Plus, the time he has already gotten to spend with us this week has been priceless. Congrats on your new position! 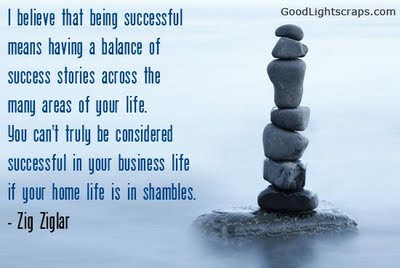 Achieving a good life work balance is so important! I made a huge change recently, too. I moved across the country for a job. Fun stuff! when my kids were little (right around the time when my youngest turned 2) I switched from a high stress full time job to a reduced hours part-time work. Oh what a wonderful change that was! Wow Mel, that is a BIG change. Congratulations on taking the plunge and I hope the transition goes smoothly for you. I think the work - life balance is tough for every working mom and anything you can do to make it easier is the right thing. Congratulations again! Congrats on your new job change. I to had to make a big job change about 5 years ago. My hubbies dad passed away and he need help with the family farming business. I worked full time at a bank. It was one of the hardest decision to make to quit my job and help him full time. First off all that big equipment made me nervous and I didnt think I could do it. I look back now and dont regret one minute of it. I love working with my hubby and having more time for myself and my kids. So happy for you and your family. I retired from an executive position to full time mommyhood, and it was the hardest thing I have ever done. Did I mention I moved 500 miles, and had baby #3 within a week of leaving my position. 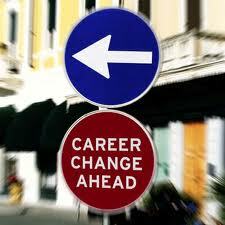 It took me a very long while to be happy in my new role, but it was worth the effort in the end! GL, Tall Mom. Happy for you!! Sounds like a great fit!! I am sure it was a tough decision. Way to go!! Sounds like the right choice, so happy for you!!! Balance can be very hard to achieve between work and home. It sounds like your balance was off and this change will help! Congrats on the change. Congratulations! It sounds like just the right fit with your family. congrats on the job! a big change...but sometimes change is a GREAT thing, so good for you! family runs sound like fun...enjoy it! Congrats to you! Glad that you get to be home with your family more! My youngest is sixteen and I was able to stay home with all four of our sons. Time flies so relish those family runs! Everything else works out in the end. A big congrats!!! I know you needed this! Too much time in the car! Congratulations on the job! I once quite a job because it interfered with family life. Not getting the pay same was tough, but my family needed me more than that job did. I'm also happier. :) Wishing you all the best. Congratulations! Sounds like it will be a good change. :) Hope it is fabulous! My Mom always tells me, "You will never regret decisions you make with your family in the forefront of your mind." 2 years ago I left behind a job I had for 11 years, an offer to be a V. Principal, and an offer to be a director to move here closer to family and in a quiet area. I don't love my job as much but the benefits for Em and our family are endless. I have zero regrets and I know if I am meant to have those other opportunities later in life they will be there. I can't buy back time with my girl!